In a quest to reorganise my life and after much admiring across Pinterest (find me here) I took the plunge last week and ordered a Personal Filofax. I've always been a fan of the Filofax using one in my younger days until I switched to a mini Louis Vuitton version in the older label loving ones. Then I moved on to a lusted after Moleskine when I wanted something light weight to carry around in my bag. So why back to the Filofax? For one reason and another the Moleskine has been thrown into my draw at home using as a journal, sticking in ticket stubs and cards etc. I'd attempted to use my iphone diary as it was always with me, sync'd to my iPad and I'd have my office diary in Outlook which was also updated on a regular basis. 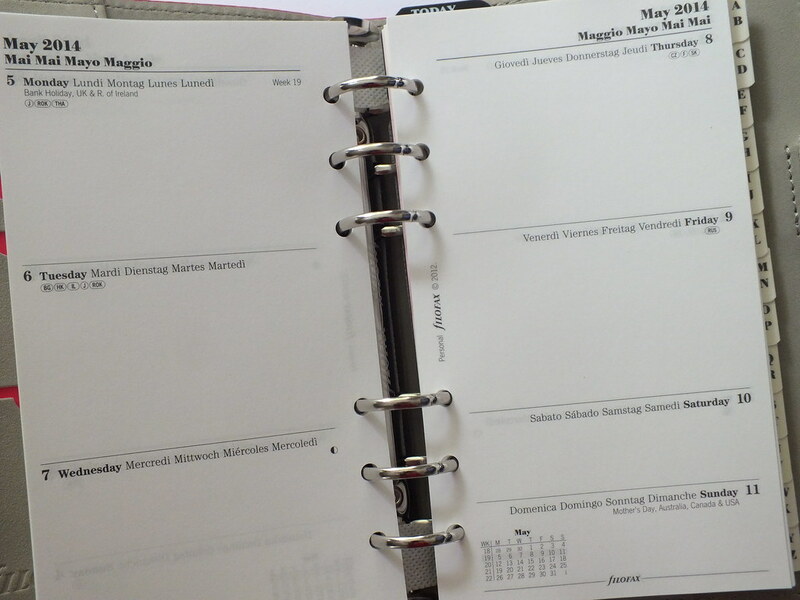 I've since discovered that technology is not the best format for me to organise my life. In addition to making notes on the iphone I'd still prefer the physical act of writing a list, there's my blog notebook and multiple other scraps of paper with to do lists, ever growing lists filled with beauty products to try and the odd note here and then of things to remember. I wanted one place that could combine everything and more importantly a format that I could easily adapt as plans changed or dates were moved; again the Filofax seemed to be the answer. I'm the sort of person who writes a post it note, spells something incorrectly or doesn't like the look of my hand writing so rewrites it till I'm satisfied so you can imagine the 'trauma' of writing a date in the diary, that date changing and having to cross things out - far too messy for me. 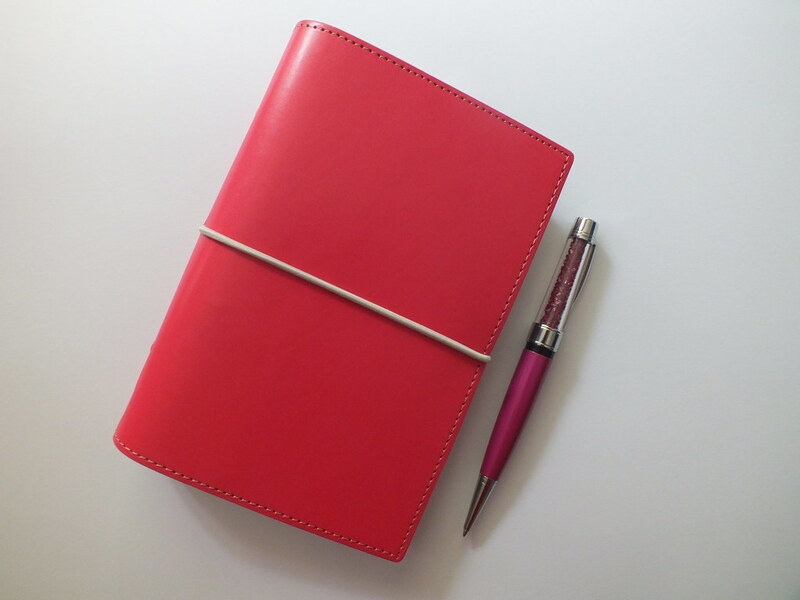 The first thing I discovered was that Filofax's aren't necessarily the cheapest things around, maybe worth every penny but if this new experiment went awry and I invested the £60-80 on the neon Original organiser I favoured then I would be out of pocket. Next I thought about the size. A5 appealed as it's larger for notes but the realities of carrying that size around wouldn't be practical and when I thought about the information I wanted to hand the Personal really should be suitable. I still thought £60 for the Original was more than I wanted to spend and then I discovered the Deep Pink Domino for only £20 which seemed a bargain in comparison. I also favoured the elastic closure as if I got carried away and overfilled it would be easier to contain than a rigid button strap. Next was a trip to Paperchase for an abundance of post it notes to decorate the pages. 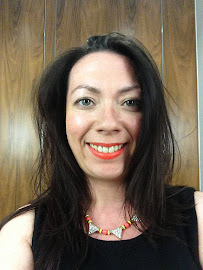 Whilst I love the look of some of the organisers filled with washi tape I wanted to have a less fussy look and thought the post it notes would easily be moved around as things changed without committing ink to paper. Sunday night I sat and began filling the pages and Monday I spent far to much time at work continuing to play with my new Filofax, it's love! I can't deny the organiser is still weighty to carry around but knowing that I have all the notes I need is great. I've got into a routine of using the standard posts it found on my desk at work to add extra notes as I need and then spend some time of an evening transferring to the prettier versions. 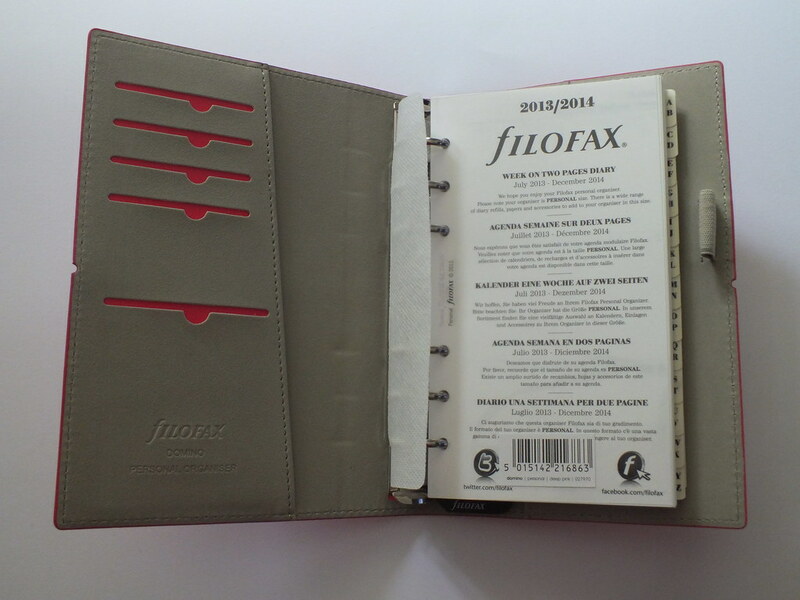 As for the Filofax itself, the elastic closure works well and feels secure. The colour is far better than I imagined and I think I actually prefer it than if I'd gone for the harsher neon shades I initially preferred. The inside is a beautiful grey suede and I have nothing but good things to say so far. A more organised and decorative plan is definitely the way forward; and you, what is your preferred method to keep things in check? I have a paperchase version of a filofax and I need to get back into using it. I've attempted to use my ipad too but it just doesn't work for me, I need to actually write things down for them to sink in I think hehe!